A crossbite is when your upper teeth sit inside your lower teeth. You may also have a crossbite if one or two of the top front teeth sit behind the bottom teeth when you bite down. 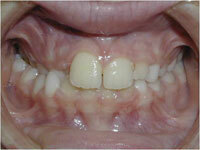 This problem can potentially cause jaw discomfort and misalignment and needs to be addressed by orthodontic treatment. When teeth have insufficient room to erupt, this is considered crowding. Crowding can cause bite issues as well as tooth decay. 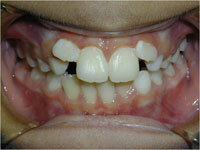 Before receiving orthodontic treatment, teeth may need to be extracted. 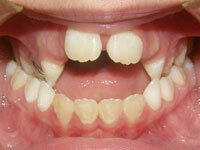 An expander may be used to help jump start orthodontic treatment as well. If there isn’t a straight line from the bridge of your nose to the bottom of your teeth, then you have a midlines problem. If your upper teeth are not lined up with your bottom teeth, this causes improper bites. Improper bites, with time, can cause strain on your jaw and force you to require more serious orthodontic procedures. Addressing off midlines can prevent future pain and a more costly treatment. 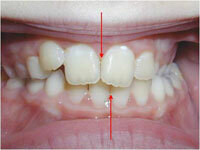 An openbite is a common orthodontic problem where the upper and lower front teeth do not overlap. If you have an open bite problem, you can probably stick your tongue between your teeth while you bite down. This is a cosmetic problem than can lead to chewing problems as well as other habits like tongue thrusting. If you bite down and your front teeth cover your lower teeth too much, you may have an overbite problem. Excessive overbites can cause the lower teeth to hit the roof of your mouth. This can become painful and damage your teeth or gums. If your upper teeth stick out too far forward or your lower teeth do not extend forward enough, then you have a protrusion problem. This problem is more common in the upper jaw and can cause damage and injury to your lower teeth or cause your jaw to grow unevenly. 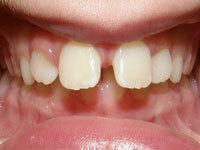 When there is too much room between teeth, you have spacing problems. 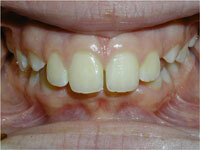 Spacing problems can also be cause from having missing teeth or if you dental arch is too wide. Not only is this cosmetically unattractive, but it is a way for food to get stuck between your teeth and can potentially cause gum disease or even tooth damage. An underbite is when your lower jaw outgrows the upper jaw, leading the lower teeth to protrude in front of the upper teeth. It is best to diagnose and treat this problem early. The longer this problem goes untreated, problems with your jaw and bite can occur, including damage to the health of your teeth and gums. Thank you for choosing Jaffe Orthodontics for your oral care needs. If you are experiencing any of the common orthodontic problems above and are in need of orthodontic treatment, contact us at our Barrington or Portsmouth locations and we will gladly schedule an appointment for you that best fits your schedule. We look forward to meeting you soon! Our orthodontic professionals assess each case individually to determine the best course of action. 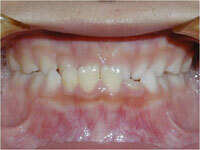 Some types of malocclusions can be treated through the use of orthodontic appliances. Others may require procedures such as a tooth extraction or surgery before we can proceed with treatment through appliances. We discuss options with every patient in order to choose treatment that will achieve the desired results. 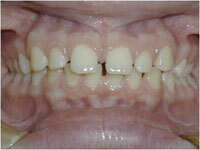 There are many different kinds of orthodontic problems that could benefit from professional intervention. Contact Jaffe Orthodontics today to schedule a consultation to see what we can do for you. Give us a call at (401) 245-2626 for our Barrington office or (401) 293-5555 for our Portsmouth office. You can also request an appointment online. We look forward to hearing from you soon!